The province of Overijssel does not have many German built structures. We cover the WW-2 art storage shelter in Paaslo. 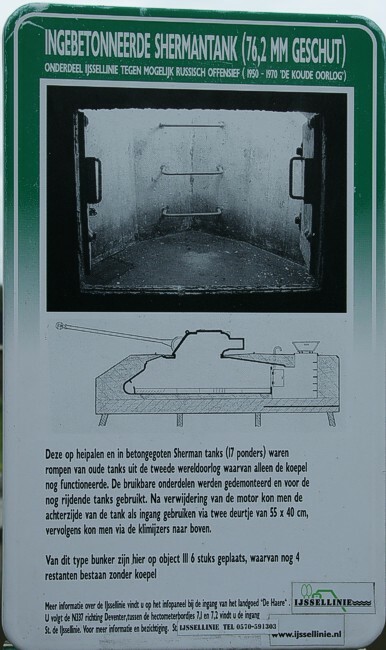 The information panel at the fixed Sherman turret in Olst.